Simon was pretty much a certified given to make it to my Top 29 list, when I first heard word that we would be getting new material. I didn't even have to hear "Delusional" to know I'd love it, and it proves that my faith in Simon and his incredible producer Jadion is well founded. 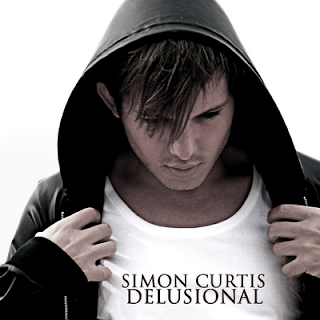 "Delusional" serves its purpose as a grand ol' pop song for the new millenium, still in keeping with Simon's trademark tongue-in-cheek style. There's little not to like in terms of pop perfection, and each listen makes the wait for 8 Bit Heart that much longer. In a music world currently struggling to establish what exactly to do with the Internets, Simon is yet again ahead of the curve, announcing he would be releasing his new project completely gratis (read: free. Yes, really.) on the social phenom that is Twitter (I repeat for the millionth time: if you are not yet his friend on Twitter -- first, welcome to the party. How was that rock you were sleeping under? Now, go follow him, darnit!). The snowball has been pushed into motion, and pretty soon its gonna be an avalanche. Get on board now, before we all say we told you so. Best Part: The falcetto "You're so Delusional, all, ah ah ah-all..." in the chorus, and of course, "Now, I know you're gonna try to say I stole this verse from Tim', but there's a fire starter out there and I'm sure he stole from him first". Other Songs of Note: "Diablo" and AlterBoy faves "Put Your Makeup On" and "Resist"
Other Posts RE: General squee-ing over "Delusional"/"Diablo" here. Looking Ahead: 8 Bit Heart taking over the universe, while all of us in the pop blogging underground point and laugh at everyone who slept on him for so long. Yet another powerhouse electro-inspired group from the UK that America just doesn't seem to get. However, I'm hoping the tides are starting to turn, and 2010 will be filled with tardy entries of all my fave British acts (hopefully this isn't just a dream I keep recurring...fingers crossed?). La Roux is an interesting bunch sonically, as lead singer Elly Jackson has one of those you-either-love-it-or-want-to-scratch-your-eyes-out kind of voices. I fell into the former group (obviously, why else would they be here? ), and her curiously semi-screetchy voice was on full tilt on "Kill", especially in the 'Let's Get Ravey' remix (which I tended to prefer to the album/radio cut). The remix slows down the rather bouncy single, making it sound much more serious, piercing, dark and ominous than the original, and fits Elly's voice like a Isotoner glove. 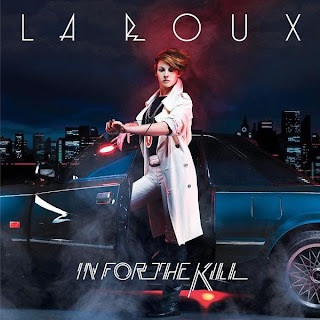 "Kill" led to high hopes for the full record, rising to #2 on the UK charts, and La Roux didn't dissapoint. Best Part: "Two hearts with accurate devotions/Woo-ooh, what are feelings without emotions", and the entire chorus, which has become a bit of an anthem for growing up, moving away from the fam, and pursuing the almighty dream. Other Songs of Note: "Bulletproof", "Tigerlily", "Quicksand"
Looking Ahead: Mas promotion in the USA, por favor. I suppose I may have not truly appreciated her for the talented artist she is in the past ("Hips Don't Lie" grated on my last nerve, you don't even know), but I've always had a soft spot for Shakira, her Colombian rhythms and her penchant for witty and S.A.T.-ready lyrics (who else do you know in the pop realm that can throw around words like "retribution", "divo", "prudent" and the almighty "lycanthropy"? Anyone? Anyone?). "She Wolf" is pure kitsch to the core and that suits me just fine. From the minute I heard first heard it's opening chords to the chorus, I was hooked, and hooked hard. Some try to relate the song's semi-success on the American charts to the ever-popular Twilight saga, which kind of makes me want to curl up in a ball and die silently. Whatever the reason behind it is, I'm happy the "She Wolf" is around -- after seeing the video, I'm pretty sure 'Kira and her keen ability to bend her body in almost-painful-looking ways is sure to intimidate anyone. There was literally nothing else like this on the radio at the time, and for that sake alone, she should be praised. Best Part: The guitar licks inbetween chorus and verse, the aforementioned vocabulary points, "Starting to feel a little abuse like a coffee machine in an office" (word! ), the vocoded "S.O.S., she's in disguise", and of course, the "ahh-oooh"s. That's a given. Other Songs of Note: Its Spanish counterpart "Loba" and the Daddy Yankee Remix, "Why Wait", "Long Time", "Did It Again"
Other Posts RE: Mini She Wolf album review. Looking Ahead: I suppose I'll have to get over the fact that the worst cut on the record will be the second single, and wait patiently for literally any other song to be prepped as its third. Best Part: The Timbaland-reminisent "you broke it, you bought it"s and flat out -- Tynisha's voice. Other Songs of Note: "Walls Up" (I actually was pretty torn over which Tynisha song to choose -- "Shatter'd" or "Walls Up"), "I Wish You Loved Me", "I'm Gone", "Lights Out", "Woman"
Other Posts RE: Tynisha: Look for a hefty (and I mean hefty, and not to mention overdue) album critique (read: lovefest) in early 2010. Looking Ahead: Tynisha is preparing her second album, and is readying herself for when she takes her rightful place in America's Favorites list, preferably in 2010. Clue: The next four in the countdown all have one word artist titles. Go Simon! Go Simon! Loving the track, and your countdown - and glad to see some Shakira love, I've very much underrappreciated the track! I quite like that Simon Curtis song - am still debating though if it's going on my list. Hahah. Great picks, as always! Loba is better than She Wolf, I don't know why even though I don't understand Spanish. Simon "Delusional." Great stuff! A really nice song, I wouldn't have known about it if it weren't for Paul. La Roux "...Kill." Obvious brilliance! Shakira "She Wolf." She's a weird one because I love her (I own her first two albums) however I listen to her consistently, I bought her She Wolf album but I was really disappointed but I do like "She Wolf" and "Did It Again." It's always hit and miss with her. Tynisha AGGGHHHH! I LOVE HER! "I'm Gone," "Spotless Mind," "I'm Gone" too, I love her! however I'm not feeling I wish You Loved Me as much anymoer. Shakira - i had a goal that i would be able to bend like her at the end of the year. I tried last night at my party. I am near disabled now with pain!! Nikki -- I <3 it. But the wait for the album is killing me!